Disclaimer: This is not an objective movie review, I am not Anis Tabet and you will not get a professional opinion on the cinematographic qualities and shortcomings of the movie. I watch a lot of movies and consequently, I have become quite desensitized by movie trailers in general. 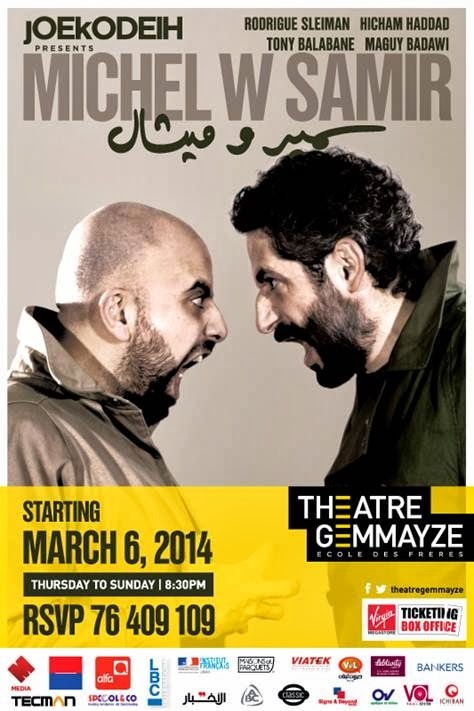 I am also a fan of Lebanese movies, but not necessarily the ones that everyone swoons over. For example, I loved Taxi Ballad way more than any of Nadine Labaki's flicks. Many who have met me, or read my blog, know how critical I am of stereotypes, especially the very Yippeekayay-ish approach to the proverbial "joie de vivre" lie that we enjoy telling ourselves in Lebanon. So when I first caught a glimpse of the Heritages trailer in some pre-movie session, I was reluctant on what to make of it: Is it another sob-story on the struggle that many Lebanese-born must undergo or just another cheesy attempt at glorifying feelings of nostalgia for a Land that continuously keeps offering less and less to its natives? It was neither. On the pre-screening night, I managed to steal a few moments with Philippe Aractingi and we briefly exchanged some ideas which got me even more psyched to see how he had placed those ideas onto film. I was happy to see that this filmmaker did not slip into every cliche that's been thrown our way, about being the greatest place to live in the world, but instead offered an honest, accurate and enjoyable storytelling experience from his own perspective, while basing it on his own family's past and present, without denying his love for the country he was born into. The richness of imagery, the candor of the characters and honesty of emotions made me feel privileged to have been given a front-seat ride into this visual autobiography and the plethora of emotions thrown at the spectator along the way. Lebanese cinema has recently brought us many choices and styles: the touching, the smooth, the badly executed, the same old story and even the doubled-monosyllabic comedies. Far from all that, Heritages stands alone as an honest witness of a person's love and struggle with a country that binds you to it and still pushes you away until you feel like being on the edge of a yo-yo toy. Heritages is a must-see movie for everyone: the disappointed idealist, the chronic nostalgic, the wannabe immigrant and most importantly the delusional patriotic narcissistic. It's a hangover cure, sugarcoated with honesty and warmth emanating from the lives of a very honest family somewhere between Beirut and Paris. This movie should make it to the official school syllabus as a valuable educational tool for the young and impressionable minds that, so far, seem bound to repeat the same experiences of their parents, and their parents before them. Perhaps a powerful wake-up call like this might shake the country out of its unpleasant version of Groundhog Day but then again like I started by saying: I watch too many movies. I hate politics! Not because it's fashionable to do so but because I live in Lebanon. An East-Mediterranean country with beautiful geography, exquisite cuisine and one of the worlds most dysfunctional socio-political systems. This can best illustrate the schisms that spread and infiltrate all the stratas of Religion, Politics, Business and Social behavior in our daily life. 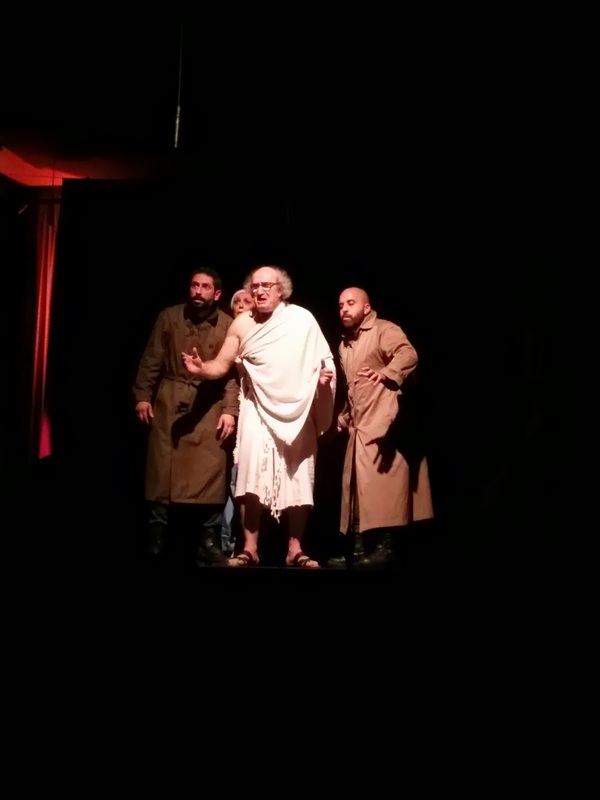 When Joe Kodeih announced his next play would be be named "Michel & Samir", after two of the most well know political opponents on the local scene over the past 30 years or so, my initial knee-jerk reaction was rather dismissive. But for anyone who has known Joe for as long as I have or has had the chance to watch any of his previous plays, there could be no doubt that what he had up his sleeve extended beyond the cliches offered by the overabundant political satire shows and plays that plague our TV stations and theaters. The setting and characters both imaginative (as offered by both written and verbal disclaimers) represent two patients, Rodrigue Sleiman and Hicham Haddad, with identity crisis and an apparent aversion for one another being treated by two healthcare providers: Tony Balabane and Maguy Badawi. Over the duration of the play we are taken on a roller-coaster ride into the obsessions, fears and insecurities of the characters tempered by a series of comical jabs at our reality. Joe Kodeih's directing and script combines with the raw talent of the actors to take us into the realm of the absurd, only to jerk us out of it when we least expect it, making us both laugh then smirk at our daily grievances. Tony Balaban's monumental performance glued the volatile characters portrayed by the oh-so-talented Rodrigue Sleiman and unexpectedly touching Hicham Haddad in a melting pot of angry male emotions tamed by the presence of Maguy Badaoui and her central character in the play. Michel w Samir (or Samir w Michel, depending on your personal preference) explores absurdity and comedy in equal parts of touching and engaging, not far from our day-to-day reality. After all like the great Samuel Beckett said: "We Are All Born Mad. Some Remain So"
I sometimes think those are the lucky ones! It's always a treat for us consumers when brands take jabs at each other while trying to sway us on one side or the other. A rare commodity in today's world where we feel we have become just tiny chunks of big data. No matter how much people preach that businesses need to, have become and should remain customer-centric, we still feel too tiny in front of big brands. unless they pull off something like this on Twitter. 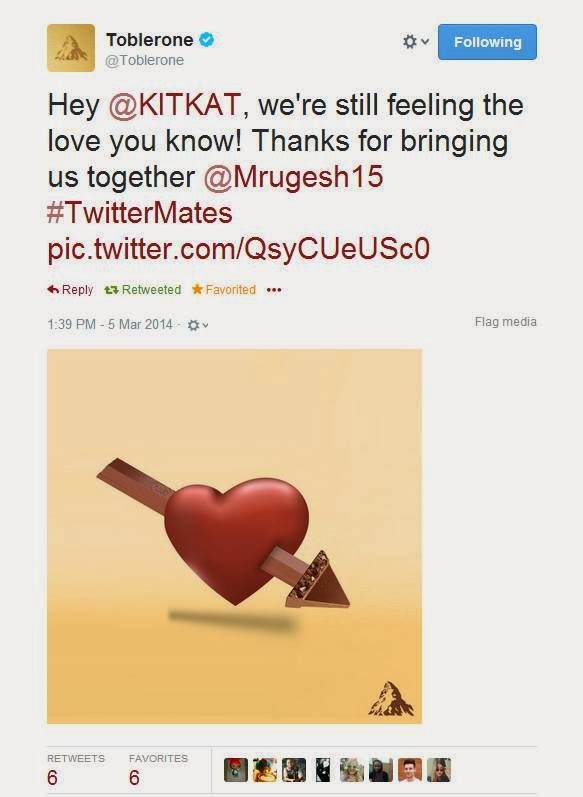 When I saw a glimpse of @KitKat's powerful reply to @Toblerone and @Mrugesh15, with a picture containing both chocolate bars in a surprising layout, I felt compelled to check out the entire conversation. Much to my delight, it was yet another duel of the giants. Both brands remained classy and gave it their best shot, but judging by the number of ReTweets and Favorites each reply received, it would be safe to say that KitKat walked away with this one. In your opinion, who do you think deserved the win? Let me know in the comments section below. 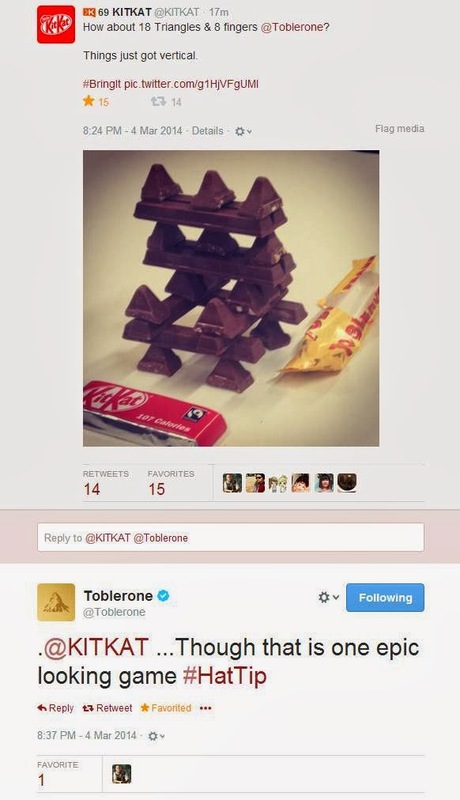 Personally, I think Toblerone would have won me over had they used the dark chocolate bar. The cherry on top of the beautiful social media exchange came today from the awesome people behind Toblerone. It seems that Cupid (pretty much like everybody else) is also hooked on Chocolate and thanks to these two great brands we are all love-stricken. In today's connected world one would argue that the barriers maintaining tribal segregation would be eroded, blurred, gone. Perhaps in some measure they are. Google translate brings down language barriers, Skype saves us the trouble of crossing borders, Facebook puts us in touch with long lost friends...yet we still manage to align ourselves in tribes. We pick sides even when there is no side to pick, we trash-talk the other side over a piece of technology which we don't even own but merely use. Today's tribal feuds are digital, they live on the web, in virtual space, on the banks of social media channels. Mac vs PC: In the beginning there was the mainframe but who cares about that. This is where the action took place as digital was unraveling itself. It still does in some way but this has been one of the oldest running digital feuds. Countless are the arguments breaking out in college cafeterias, dorm rooms and classrooms between supporters of each with a side dish of sarcasm by Linux lovers. This rivalry sparked a series of very successful ads by Apple. Microsoft vs Google: A software company hating on a search engine? what am I missing there? But we all know that Microsoft outgrew its software manufacturer a long time ago and that Google has spread its wings far beyond search. Google's Gmail, Chrome Browsers, Chrome OS and Apps were gaining ground on the supremacy of Microsoft's Hotmail, Internet Explorer, Windows and Office. The fans of each side are often arguing the merits of one or the other. My personal observation is that those who emerge from a corporate environment tend to support the more institutional Microsoft while Start-Ups, freelancers, hackers are pro Google. Left in the middle is the average computer user. This probably would explain an entire campaign entitled "Scroogled" aimed at taking jabs at Google's array of products in order to portray Microsoft's under a brighter light. Interestingly enough, Google have not reacted to this. 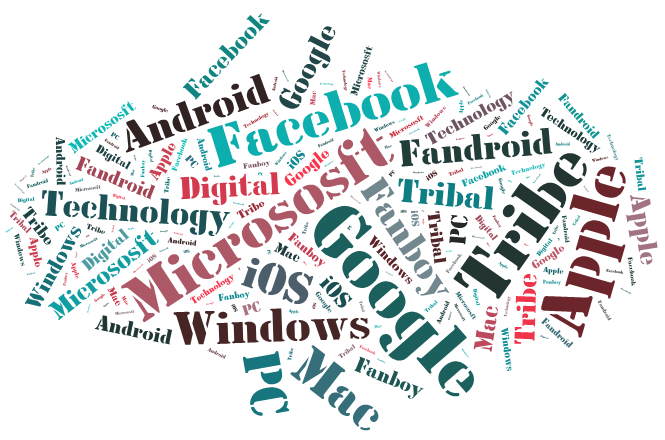 Apple Fanboys vs Fandroids: So we've had Microsoft and Apple fans going at it for starters, closely followed Microsoft and Google supporters having their own little thing happening, so it would not be right if we didn't have Apple and Google fans at each others' throats. While I have been an Android user for as long as I remember I cannot deny the merits of either platform. The issue is that of relevance. If the fruit makes you happy bite into that by all means. Both are here to stay, both borrow from each other and the only one to profit is us the consumers. Of course if you ever hoped to work for either company and got turned down, we won't hold it against you if you spent your day bashing their product. After all we are all humans and we can't all handle rejection well. Facebook vs Google+: This might be the mildest of all the controversies you can see. Facebookers argue that Google+ is a ghost-town and that Google is pushing it down the throat of everybody who uses any Google product. The latter simply shrug their shoulders and poke fun at all the privacy concerns that have infected Facebook and the type of users and content that is being generated there. It's worth noticing that these two giants are probably going to end up doing the same thing. Facebook is spinning off new products (messenger, paper...) from its main platform while Google is connecting all is products (YouTube, Blogger, Android...) via its social platform. I guess it's a wait and see game. There are certainly other examples to draw on from the House of Tech and the Clan of McSocial (Canon vs Nikon, Xbox vs PlayStation...) but I am sure you can dig-up more on those on your own or even better, give first hand example on your participation in one or the other. What matters at the end of the day is not what technology are you using but rather what are you using the technology for and is it the most appropriate one to achieve the goals you initially set-off to achieve. 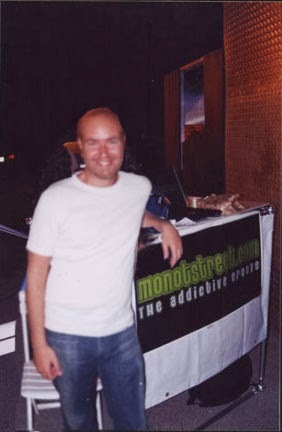 I would love to hear your contributions below in the comments on these and other topics so don't hesitate to share your Tribal 2.0 experience.